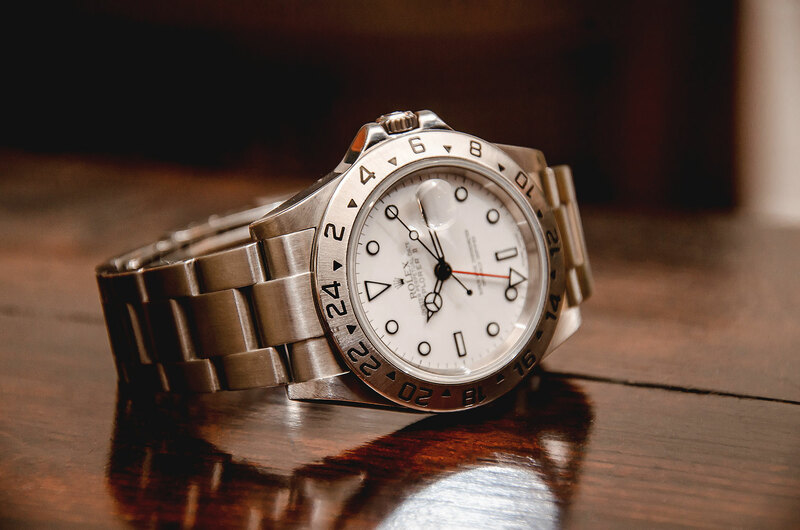 Today’s review of the Rolex Explorer II is a little unusual on several accounts. Most significantly it’s of a watch that’s been discontinued for seven years. 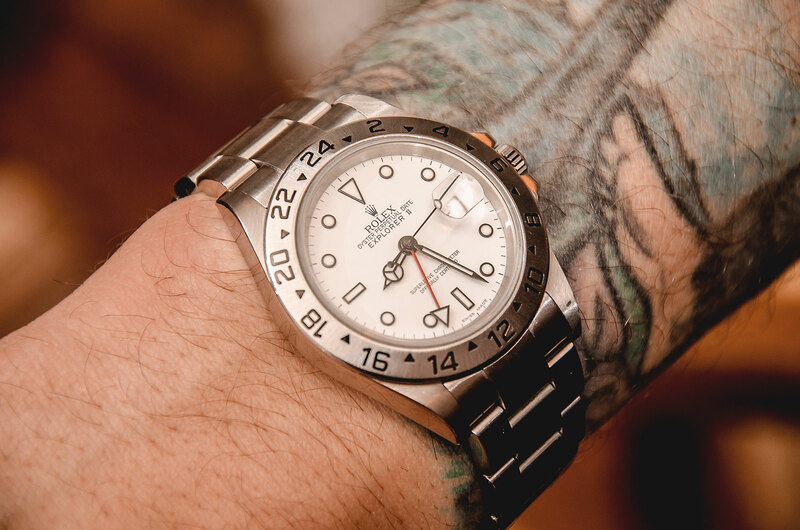 Given this fact, Bruce (of BLNR fame) has written a more personal, evocative piece, which makes sense as much ink has already been shed in tribute to the details and intricacies of this particular Rolex Explorer II. Back when I was shopping for my first Rolex, I was offered a ‘new old stock’ Explorer II 16570 by the local boutique at a decent discount. I brushed it off at the time due to a fixation with the Submariner (which ironically ended up as a Datejust) and also the limited knowledge that it was a past model and recently replaced by an improved 216570 in 42mm. Why in the world would I have bought that old 16570? It made no sense to me at the time. However, hindsight is 20/20 and now that my knowledge has grown, and I’ve been able to spend a decent amount of time with a 16570, I realise that a NOS Explorer II could have been a real catch. Now that I’ve established the personal story behind the watch, I can move into another great aspect of watch enthusiasm: history. The Explorer II has been produced for an impressive 46 years, but where does this 16570 fit in? After the inaugural and eclectic 1655 (which was overshadowed at the time by the Submariner and GMT models of the day and considered a slow seller) departed after a ten-year run, there was the clean-slate 16550, which introduced a much less frenetic dial design (some of which are quite sought after due to a defect causing creamy dial patina). 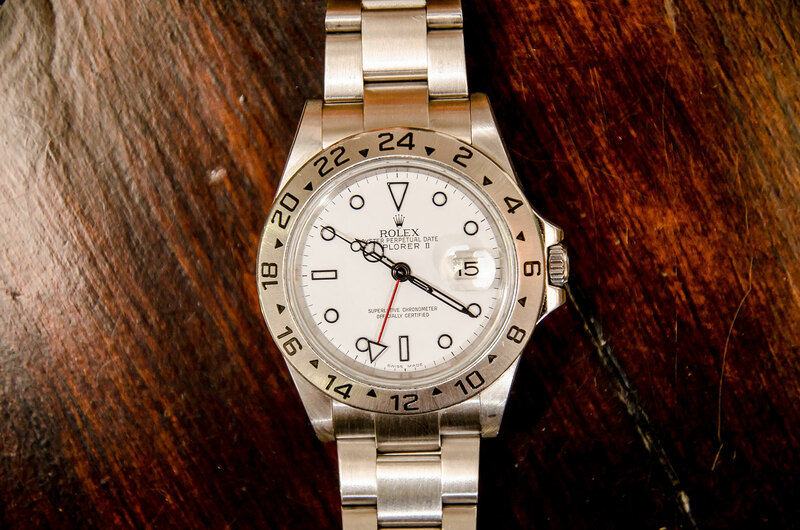 After a few years, this watch made way for the improved 16570 in 1989, which enjoyed a healthy reign all the way until the current 216570 “plus size” Explorer II that debuted in 2011. The 16570’s importance is validated by the staying power of its design for more than 20 years and indeed it still looks great today. Perhaps one of the most exciting things about researching a timepiece like this 16570 is discovering the minute details, or the story within a story that could make it different from someone else’s 16570. I got lucky with this watch. 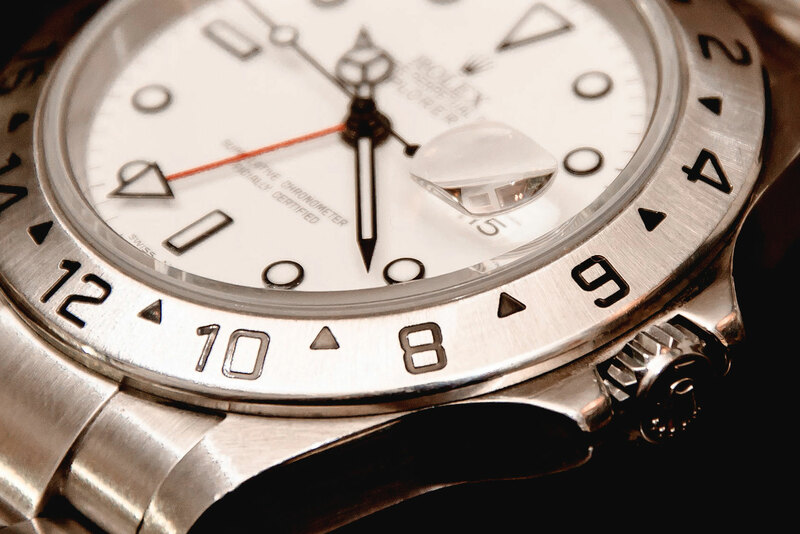 Towards the end of this millennium’s first decade, Rolex started manufacturing a new movement called 3186 to usher in the six-digit reference era (starting with the GMT-Master in 2005) and replace the venerable 3185 that had seen duty in so many five-digit reference GMT-Master and Explorer IIs. Before the new 216570 Explorer II arrived on the scene in 2011, there were approximately three years of “classic” Explorer IIs that were built with the new movement. It would seem that these more modern 16570 watches could be identified by having the ROLEX engraving around the rehaut. 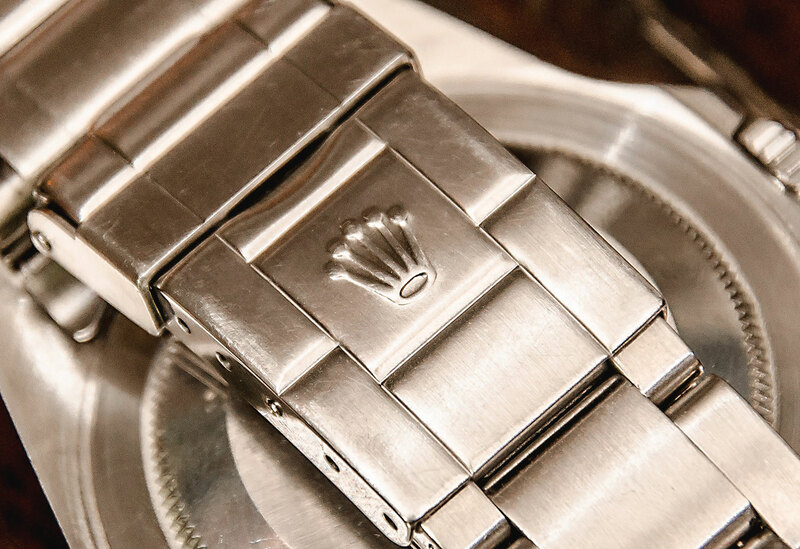 Of course, nothing associated with Rolex sleuthing could be that simple. This watch does not have the rehaut engraved, but does have the hole-free case lugs. The owner of this watch has seen the movement and can verify it is indeed the newer 3186, meaning that, at some point in the future, this could be labelled a transitional 16570 Explorer II. I’ve mentioned before that in this day and age of increasingly disposable goods, I take a lot of pleasure in experiencing something manufactured with no definite expiration date in mind. The Explorer II in 16570 form is undoubtedly true to its tool watch roots with an extremely easy-to-read dial as well as durable and robust construction. It wears light and airy on the wrist, slipping easily under my shirt cuff. I own a few six-digit Rolex watches and the difference in feel is quite noticeable. Almost completely brushed in its entirety, the Explorer II sports a polished finish only on the sides of the case. One recently released watch that compares similarly in spirit is the Tudor Black Bay Steel; albeit being bigger and bulkier than the Explorer II, I feel it has the same simple, industrial visual appeal. Looking at this dial I can’t for the life of me figure out why Rolex would make the move from this 40mm design to the current 42mm 216570. The bright white dial (commonly nicknamed “polar”) looks expansive and wide with plenty of open space. The hour markers and hands are crisply outlined in black glossy contrast, again playing down any flashiness and embracing a restrained presence. One quick glance is all it takes to determine the exact time and current date, which is magnified by the archetypal cyclops lens that makes this a very straightforward and functional watch, almost to a fault. I did find myself throwing it on colourful NATO straps, just to liven it up a bit. And perhaps I’m not alone in my assessment, as the orange GMT hand of the successor 216570 adds a little bit of playfulness and character back into the Explorer II, giving the old model a more youthful feel. I would be surprised to find anyone who would prefer this older style Oyster bracelet to the contemporary and much improved version. While contributing to the light and athletic feel of the 16570, it falls significantly short of the incredible construction of more modern bracelets, though I find it charming that the clasp is stamped to emulate the look of the bracelet links. Having said that, the 16570 always feels secure on the wrist, but it must be said that the clasp quality is really the only sore point on the watch. Wearing this watch is a complex and multi-faceted experience. There is the pride of indulging in the rich history of the Explorer II. Then there’s the fact that this particular watch is something of a swan song for the 16570, similar to the last model year of a truly good car that’s had a long run (think Mercedes SL from the late 1980s) and has all the refinements included with the classic look. Lastly, it is one of those underappreciated and somewhat overshadowed pieces that is made inherently great because of a cult following. 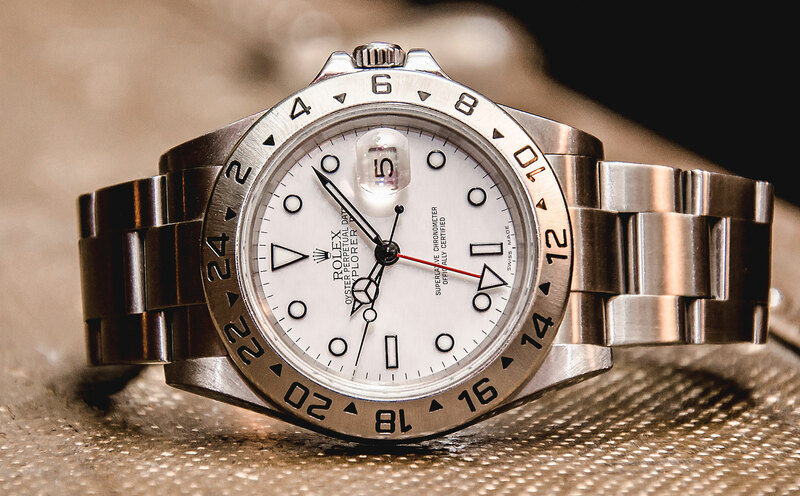 Explorer IIs (save for the 1655) are the most accessible five-digit steel sports Rolex models, though that’s a situation that’s rapidly changing. So if you’re ever offered a NOS 16570 at a great price, don’t be like me and pass it up.